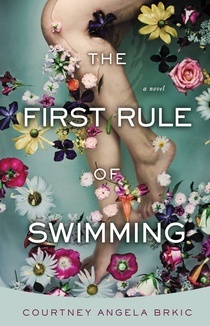 The First Rule of Swimming is the debut novel by author Courtney Angela Brkic. The title quote of the book comes from Luka, the patriarch of a Croatian family from the island of Rosmarina, "the first rule of swimming....is to stay afloat" is what he tells each successive generation as he teaches them to survive in the waters around the island. This is a very fitting metaphor for the book as a whole as Luka's family has been trying to do just that...stay afloat despite all of the turmoil and changes happening in Croatia and in their family. The book centers on Luka's two granddaughters. The oldest of the two, Magdalena, loves everything about Rosmarina and is content to live her life their in much the same way that her family has for generations. She is the old, traditional Croatia. Jadranka, on the other hand, is a free spirit who has never quite fit in on Rosmarina or the old ways. Through the interactions of the two sisters, both with each other, and with other members of their family, a picture of the family begins to emerge. It is through this picture that we learn about the choices each member has made, and just how much they have all done to survive. The story of Magdalena, Jadranka, and their family was an enjoyable read. Unfortunately, I thought the story was a bit uneven. The parts of the story that took place in Croatia, especially those that were set on the island of Rosmarina, were mesmerizing. This is where the author definitely warmed to her subject. Her descriptions of the island and it's inhabitants were very poetic and lyrical. The parts of the story that took place in the US, though also enjoyable, did not seem to me to be of the same caliber. 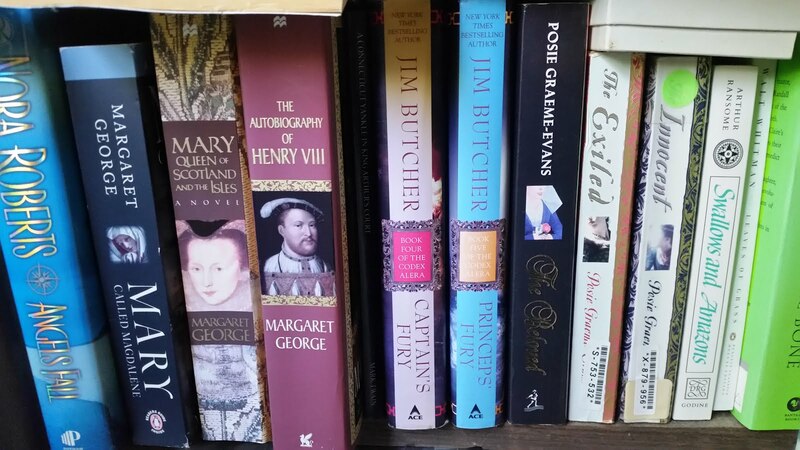 Here the story was more in line with the average fare of many contemporary novels. In addition, although the ending fit the book well, there were no huge revelations or spectacular outcomes. The same can be said of the characters. By far the most interesting characters were those that lived in Croatia. By far Magdalena was the character that I was able to connect with the most. Luka was another one and I especially liked what the author did with his character later in the book. Here the descriptions of feelings and life were the most vivid and interesting. Of the US characters, Marin was my favorite as he seemed to get the most detail and therefore was the most interesting. I would have liked to see the author do a bit more with Jadranka and some of the other characters, though. All in all, I thought this was a good effort for a debut novel. It was an enjoyable read with interesting characters and a story that was at times mesmerizing, but on the whole interesting. I would definitely like to read more by this author, especially if she is writing about life in Croatia, or in Croatian settlements in the US. A job well done for a first book and I would give it 3.5 stars.